Ashlee Sinn: CHASED is Coming! It all begins on OCTOBER 6th! The first part of The Vampire Huntress Series will be released exclusively at Amazon on October 6th for just $0.99. Sophia Glen thought she knew who she was—a twenty-something woman with no obligations who just happened to be born a vampire hunter. Spending her nights fighting to rid the city of malevolent creatures, she has earned respect from those who decide her future. Not to mention she’s captured the heart of the sexiest hunter in her crew. Sophia enjoys the freedom and intimate connection she has with Silas. He can give her what she needs the most, a chance to let go. Finding that Silas can free her from the urge to always be in control, she allows her desires to flourish. But what Silas will never fully understand is that only their sworn enemy can give Sophia what she truly craves. 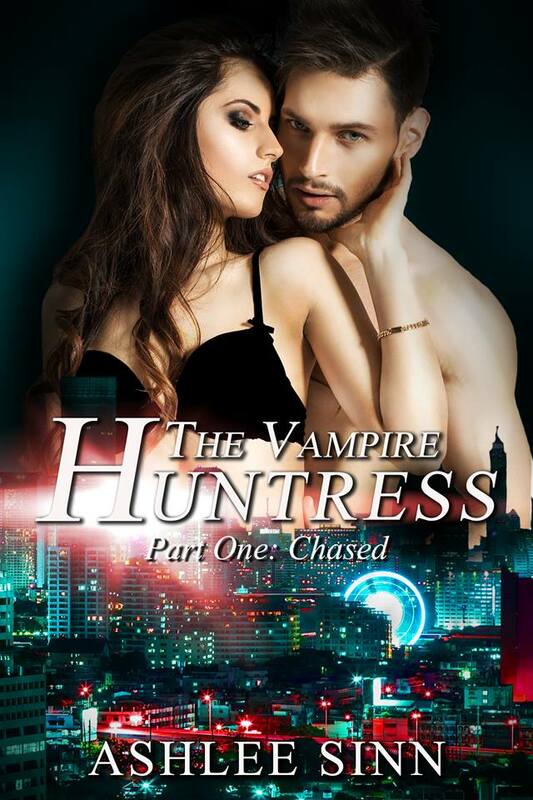 So when Sophia is forced to work with the captivating, exotic, and irresistible Viktor Kaska, she quickly learns that the ancient vampire may be exactly what she desires. Denying her growing need to feel his fangs slip into her skin, Sophia fights the attraction and focuses on taking down the mass of uncontrollable vampires tormenting the city. But when she finds herself trapped under the spell of the very vampire who betrayed them all, her future as a hunter will be changed forever. And so will her future with Viktor.